Pete Molinari from Kent has traveled the world playing, writing and recording his music. 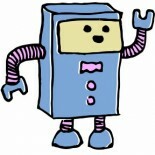 He speaks to Creatabot and tells us a little more about his background and what inspires him. So Pete how long have you been a musician and songwriter for now? ‘Professionally’ not that long in comparison to most. ‘Spiritually’ all of my life (and perhaps in other lives). Did you study any creative subjects? Not really academically. I paid most attention to Art at school and Painting at Art College and a little English and Creative Writing but paid more attention to looking out of the class window and dreaming and projecting goals and dreams in my mind. That was the biggest lesson ever. To believe in them. How much of what you do has been self taught? I would say everything is self taught. But not without the hand of something higher. It would be arrogant of anyone to think that everything one does is only from ones own hand. I like to think my hand and soul is guided in someway. I like to think we all are. That way it makes me feel more connected. The self is sometimes a misused and misunderstood word. I think its the self that is beyond all things and the highest achievement. Beyond the intellect. Beyond Body, Mind and Spirit. If we were to look at the question that way. Then I would answer that it is all self taught. What we learn in this life we already know within. We just awaken the answers. “Favourite” is a funny word and a word I’d use as a child. I like to now think of it as the best and greatest. But let’s be a child for a moment and say my “favourite” local and maybe all time Artist is Billy Childish. He’s the finest example of what I would think an Artist should be. As a Painter, Writer and Musician, he is Wise, Intelligent, Prolific, and great in every sense of the word where Substance is more important than anything else. And a very generous soul. I am fortunate enough to have Billy as my friend. I tend to be drawn to artists more for their spirit and character than anything else. More than technical ability or popular success for sure. Also Charlie Chaplin who was my first ‘hero’ (for the want of a better word) and a few other painters and writers. I ‘study’ or ‘learn’ teaching’s of Ageless Wisdom and always have my mind embedded in Spiritual Teaching’s. Again not for any Academic reason but for a better and higher understanding of ourselves and the how’s and why’s of things. Why am I here? Who am I? Where did I come from. As I child I always read Greek Mythology and looked at Paintings for symbolic reasons. I guess this stimulates the mind in someway but for more than any other reason it’s so that I can become something better than I am and bring myself closer to everything. This is my greatest inspiration. Whether Science, Religion, Philosophy, it doesn’t matter. These things are all formats for the same thing which is to discover. To discover the self. Not the ‘Ego’ Self but the Self beyond the Ego and everything else. Everything else is impermanent and our aim should and will be in times to come more about discovering the permanent which is the self. ‘Self Realisation’ How to fulfil my purpose in this world and in making the world a better place, (With the help of everyone in humanity) and lessen the spaces between us all more and more and the further the love and understanding between us more and more. I’m not very good with websites. I would say anything spiritual which will further your understanding. Share International, Theosophical Society, Arcane Teaching, Lucis Trust, Ageless Wisdom, Schools of Mediation and anything that would further you regardless of Art, Science, and Religion. To find a link between all these things is the key for me. Integration of a way of thinking. Rather than separation. To get closer to Nature is the greatest thing we have. Thank you so much for talking to us Pete and we look forward to hearing your future work! You can find out more about Pete Molinari and read his full biography at http://www.petemolinari.co.uk/ where you will be able to listen to his work, download free tracks and view more interviews and videos. This entry was posted on 01/03/2011 by natashasteer in Featured Creatives and tagged Amazon, artist, Billy Childish, creatabot, creative, download, featured, free music, Kent, music, Musician, Pete Molinari, Rochester, Songwriter, South East.